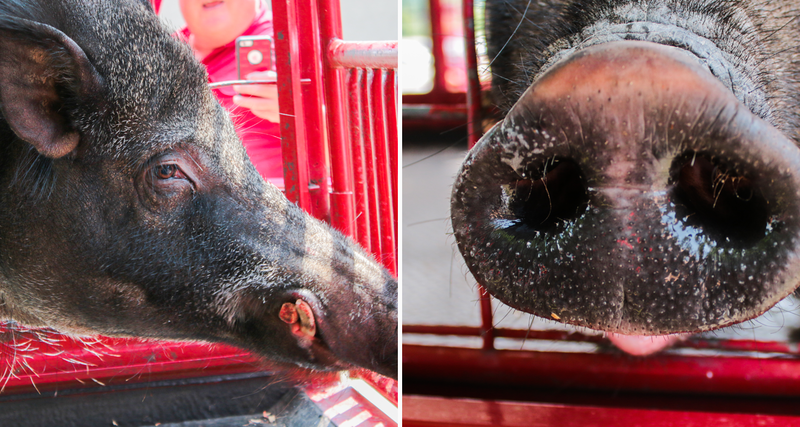 The University of Arkansas, home to one of the nation’s longest tenured and most recognizable live mascot programs, is celebrating the recent addition of Tusk V, the next in the line of Arkansas Razorback mascots. 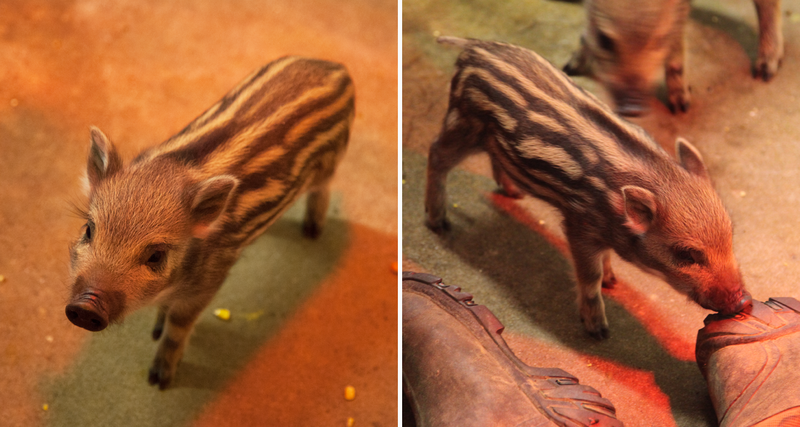 Born Saturday, April 19 at the Stokes Family Farm in Dardanelle, Arkansas, Tusk V is the son of the current Arkansas Razorbacks’ live mascot, Tusk IV, a Russian boar which closely resembles the type of “wild band of razorback hogs,” first described by then Arkansas head football coach Hugo Bezdek in 1909. 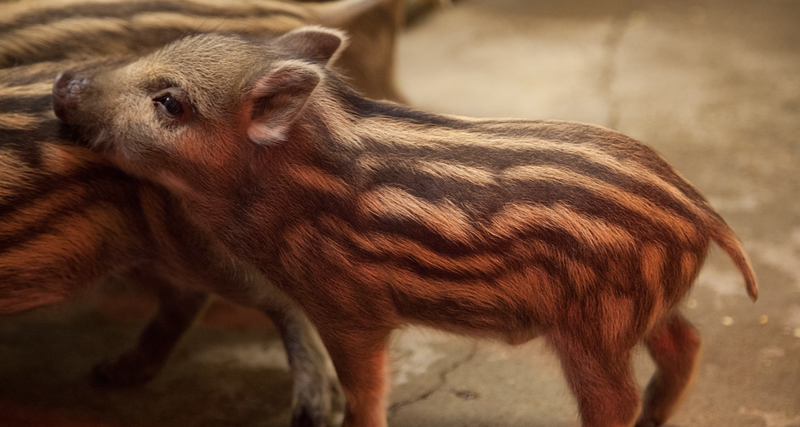 The following year, in 1910, University of Arkansas students voted to officially adopt the new nickname changing the mascot from the Cardinals to the Razorbacks. 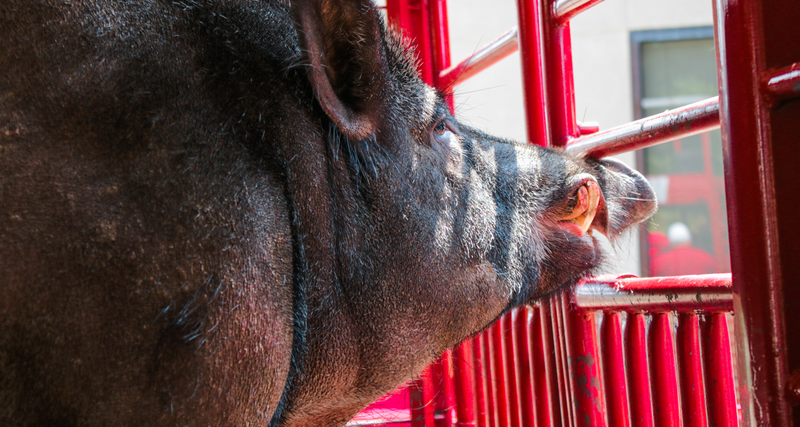 Tusk V will take over official mascot duties in time for the 2019 Razorback Football season, after his father, Tusk IV, is scheduled to retire. Weight (at time of video): 5 lbs. 8 oz. Tusk I: Tusk I was selected in 1997 and served as the Razorback mascot for eight years. After spending four football seasons at the Little Rock Zoo, Tusk I was moved to the Tyson Foods Farm in Springdale in 2001. In 2002, Tusk I became the father to Tusk II and passed away in 2004. Tusk II: Born in 2002, served as the live mascot from 2005-2010. 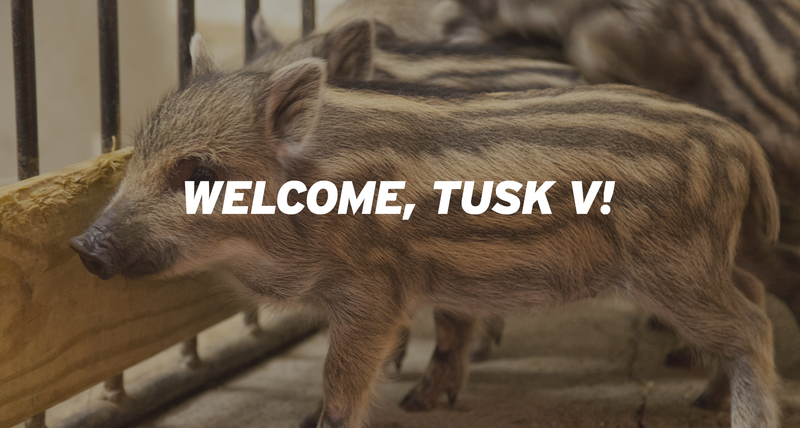 Tusk III: Tusk III was the brother of Tusk II and both were second-generation Russian boars. Served for only one football season in 2010. Tusk IV: The son of Tusk II, Tusk IV has been the live mascot since the 2011 season. Currently resides at the Stokes Family Farm in Dardanelle. 2018-19 will be his last season before entering retirement. Tusk IV makes a two-hour trek up to Northwest Arkansas for every Razorback football game as well as select other Razorback athletics events throughout the year. Beloved by Razorback and opposing team fans of all ages, Tusk is always the center of attention when he makes an appearance at games or other special events. Through the years, he has traveled the state and throughout the region to appear at various locations including at bowl games, Razorback Clubs and even the Arkansas State Capitol. Tusk IV and V live on the Stokes Family Farm near Dardanelle, Arkansas. The work of caring for Tusk IV and V is shared between Keith and his wife Julie, their daughter Abbey, their son Chip and his wife Lori, and their four-year-old son (Keith and Julie’s grandson), Colt. In 2008, Razorback Athletics, through the Razorback Foundation and with the support of Razorback Sports Properties, established The Tusk Fund, a fund-raising effort with a goal of creating a live mascot program that is the finest in the nation. Contributions of any amount are welcomed and most appreciated. Donations go directly toward assisting in the care and feeding of Tusk and to provide even greater living and traveling accommodations. In addition, your contributions will help create a legacy program to guarantee the longevity of the Razorback live mascot program. Donations* can be made below or may also be sent to the Razorback Foundation at 1295 Razorback Road, Suite A, Fayetteville AR 72701. *Donations to the Tusk Fund are generally tax deductible. Please consult your tax professional for questions. Thank you for your continuing efforts to support the Tusk legacy!